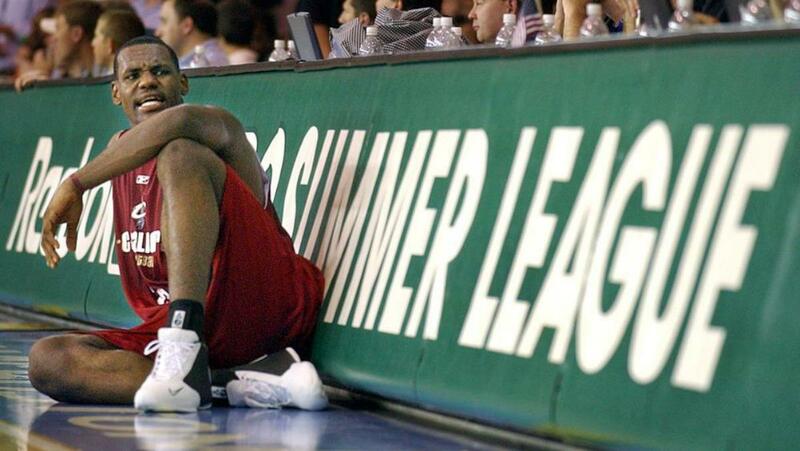 Fifteen years ago, the NBA Summer League took place in a quaint Boston gym. 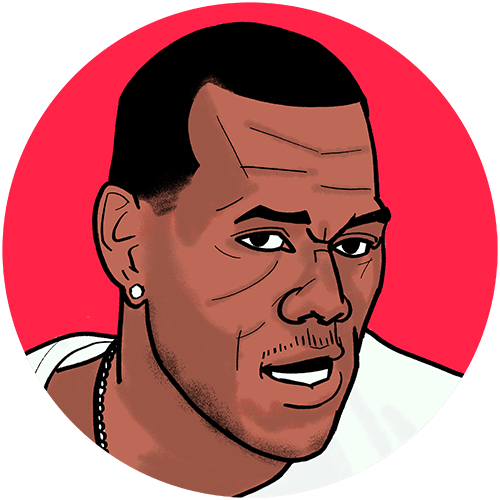 Featured was a teenage rookie who was already a star attraction: LeBron James. Yet after that summer, the league went on hiatus and never returned. This is the story of the 2003 Boston summer league as told by those who were there. LeBron James is a Los Angeles Laker, headed west to revive Showtime and perhaps a rivalry with the Celtics. He will forever be best known as a Cleveland Cavalier, for whom the son of Akron has played in two stints, 11 years total, having left, come home, and left again. For four seasons in between, the Miami Heat were the beneficiary of his talents. 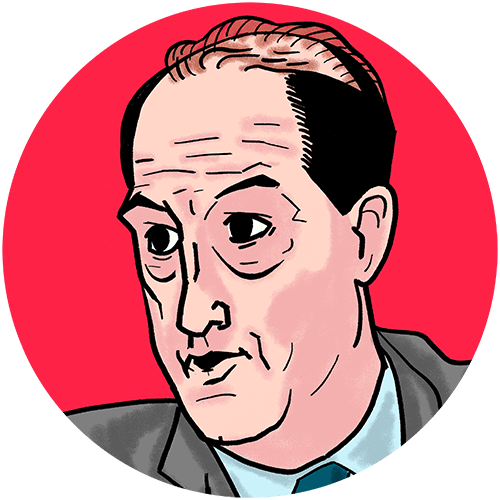 He’s made generous decisions (pledging $41 million to send Akron students to college) and ill-conceived decisions (like, well, The Decision). 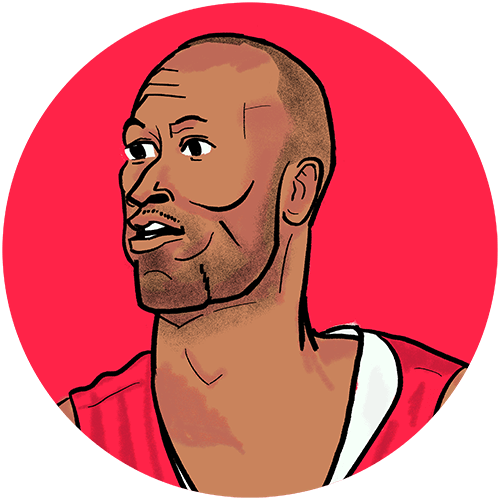 He’s made 14 All-Star teams, six All-Defensive teams, won four Most Valuable Player awards, and celebrated three NBA championships. 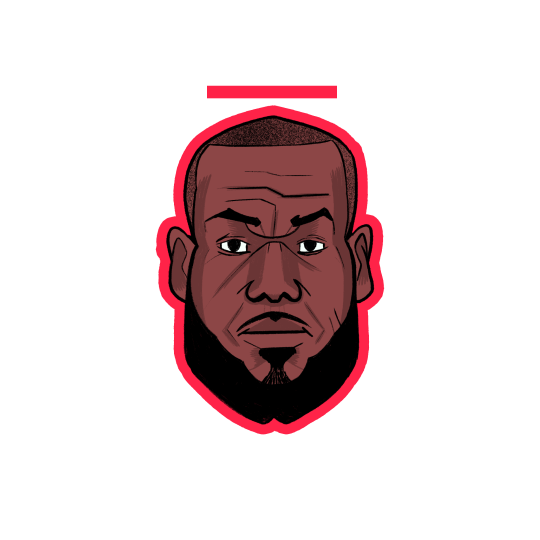 His teams have reached the NBA Finals eight straight seasons, his last conference finals defeat coming against a previous generation of Celtics, his most recent conference finals victory coming against an ascending generation of Celtics. He’s in the argument as the greatest basketball player of all time. If he plays in Hollywood like he’s played everywhere else, he may end the argument. But 15 years ago, the only debate about LeBron James was whether he could possibly live up to the hype. An 18-year-old LeBron James was already famous enough to draw a crowd everywhere he went. A year later, he was the No. 1 overall pick, by his home-state Cavaliers. It was in Boston, in a small gym that served as the home for a since-lost and lamented NBA summer league, that many basketball fans began finding out what LeBron James was about, and what he was going to become. From July 14 to July 20, 2003, the Clark Athletic Center on the University of Massachusetts-Boston campus was the venue for the Reebok Pro Summer League, the third of four legs of the NBA summer circuit that year. (The others were Long Beach, Orlando, and Salt Lake City.) Ten teams, including the Celtics and Cavaliers, participated, playing six games over seven days. Former UMass-Boston basketball head coach Charlie Titus on how the NBA summer league came to Boston. James did not make his professional debut that summer in Boston. That occured a week previous during the Orlando league, where James played two games. 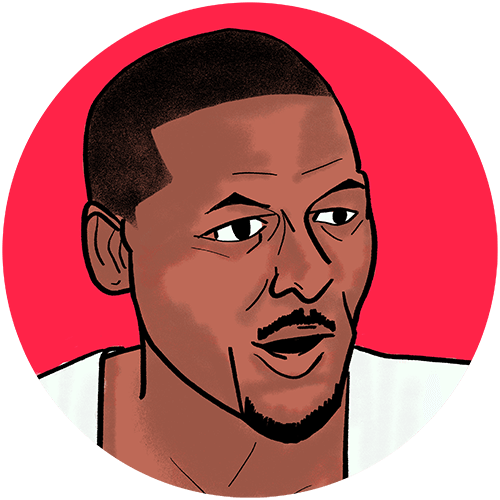 But those early games he played in Boston, when the hype and the truth about James began proving one and the same, are a compelling part of his NBA origin story. But the 2003 summer league wasn’t just about LeBron James. It was about a pivotal time in Celtics history, with Danny Ainge just a couple of months into his job, and his first draft picks, Marcus Banks and Kendrick Perkins, showing what they could do. 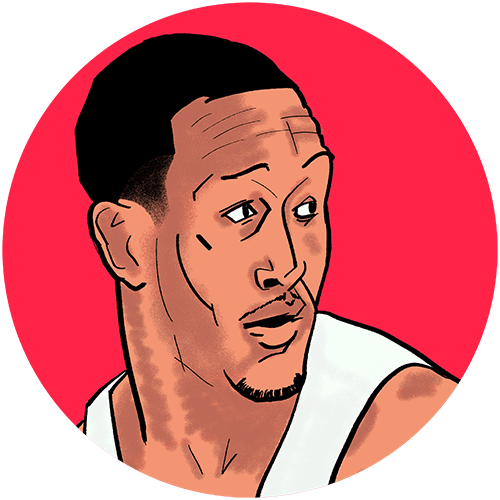 It was about rookies, second-year pros, journeymen, and vagabonds -- some names familiar, some that never would find fame -- trying to prove they had what it takes to play in the NBA. And little did we know then, but it was about a farewell. After showcasing the beginnings of one of the greatest basketball careers we’ll see, the league, after five years in Boston, came to a quiet end. 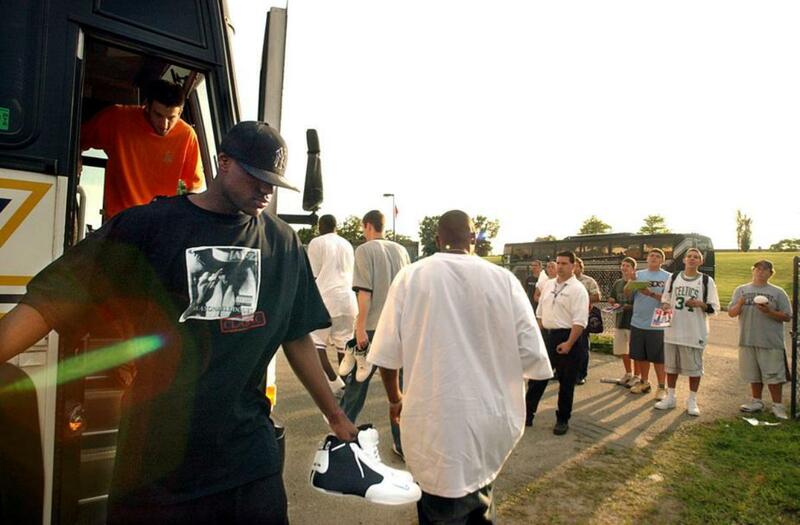 This is the story of the 2003 Reebok Boston Summer League, as told by those who were there. The Orlando summer league had always been in a gym with no fans. For the first game LeBron played, they played it in the old arena that has since been torn down. They got like 13,000 fans, and charged something like 5 bucks a ticket. So Boston knew what was coming. The Boston summer league began in 1999, with Shaw’s Supermarkets as a sponsor. Part of the Celtics’ motivation for launching the league was to convince the NBA that Boston would be a fine host for an NBA All-Star game. There were early discussions of building a court beneath a massive tent at the Seaport Hotel and hosting it there. The Reggie Lewis Track and Athletic Center was also mentioned as a potential site. But it did not take long for the Celtics to reach an agreement with UMass-Boston. It started in the Pitino Era. Rick wanted his players to play in the summer, but didn’t want to spend the money to travel and put them up some place. That was the impetus. The Celtics’ director of basketball operations at the time, Stu Layne, had a conversation with the mayor [Thomas Menino] and the mayor suggested that he come and see us. He did, and we developed a really good relationship. It was a situation that worked for everybody involved. The Celtics and UMass-Boston meshed their staffs to make it work. The Celtics handled the programming and ticketing. UMass-Boston took care of the logistics. Tickets cost $8 in the early years, but went for $15 in the Summer of LeBron. In the league’s first seasons, fans could wait outside the locker rooms for autographs, and players often mingled and sat in the stands in between games. But James’s presence required heightened security and a less casual atmosphere. It was really quite an operation. We got to work at 6 in the morning. Nobody left here before 11 or 12 at night for the seven days it was here. Players found the setting charmingly nostalgic, a throwback to playing in no-frills gyms during their journey to the NBA. The ambiance of the Boston summer league kind of reminded me of an extension of what we all grew up with. The hot-box gyms, fans up close. It was just basketball at its most purest, organic state. It was like a big high school environment. All the scouts and management right there on top of you. You go for a loose ball, you’re liable to end up in their laps. That summer league was tight. It was classic. 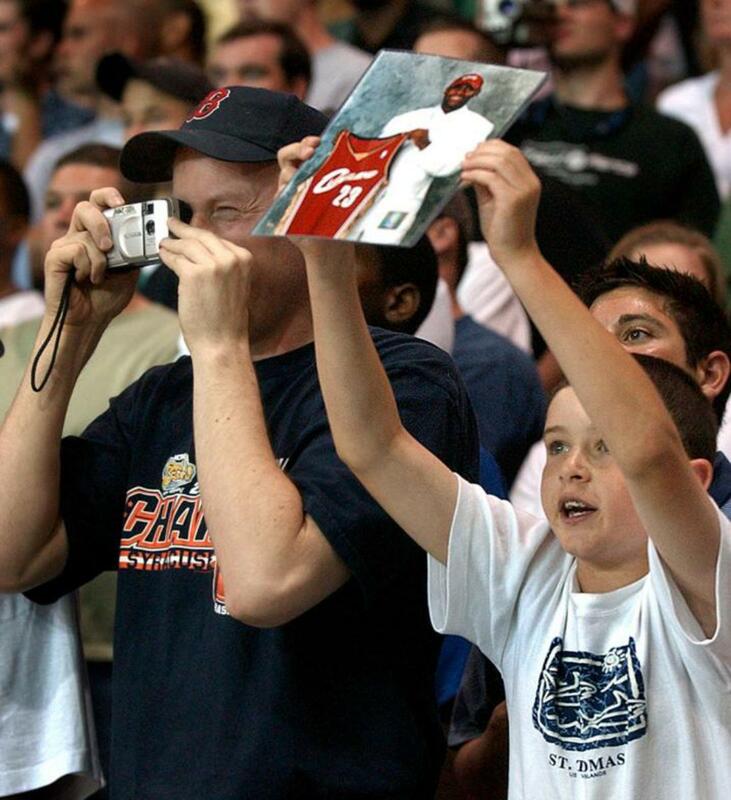 It was hard to tell LeBron fans from Boston fans at the 2003 Boston summer league. I remember the crowd being totally packed in there. That, and a hockey rink next door that didn’t have any ice in it. Man, that was a long time ago. What do I remember? I remember the gym, the atmosphere. It was old-school and hot, and the fans, mostly Celtics fans, were right on top of you. It was a great environment, energetic, what you envision summer basketball being. James arrived in Boston accompanied by a level of mystery that would not be possible today. Didn’t he show up in a limo? I heard he showed up in a limo. That was the rumor. He was always on the bus with the team as far as I knew. I remember after one game the bus was pulling off and everybody was ready to go except for LeBron. He stood outside the bus and signed every autograph until every kid had one. At that time, the Internet wasn’t like how it is today, where there’s so much accessibility to those guys. Then, he was sort of like an urban legend. He had been on ESPN a couple of times. The Sports Illustrated cover. But nationally we hadn’t gotten a feel for how good this kid really was until they actually got a chance to see him. I had seen LeBron play when he was in high school, so I knew he was sure to be special before I saw him in summer league. There was no doubt in my mind that he was going to be one of the best players that ever played when I saw him as a 17-year-old. So to see him in the summer was really just a reminder of that. His basketball IQ was incredible, his passing was one of the best characteristics of the game, and his athleticism was already better than 99 percent of NBA players at the point. He had all the tools to be that guy. But I would be lying to saying with certainty that he would be the best ever to play. I’m sure people were saying that, but I wasn’t one of those guys. I’m from Ohio, so I was aware of him pretty early. I saw him when he was a sophomore. His athleticism just then was amazing but his basketball IQ was even better. Then I saw him again after that year and he was at a different level, after his sophomore year. He never plateaued. Still hasn’t. Titus on what it was like to see LeBron play. It wasn’t just James’s fellow summer leaguers who were eager to check out his game. At least one established star – a future rival at that – came to see if the stories were true. Oh yeah, I went over. I wanted to see what all the hype was about and wanted to check our draft picks to see what we had coming. 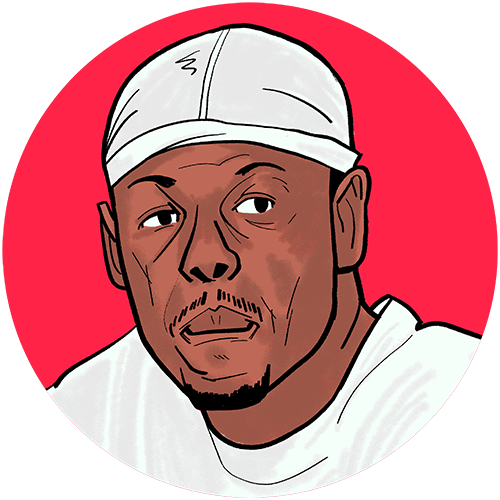 At the time, Pierce told the Globe he was there just to see the Celtics picks. 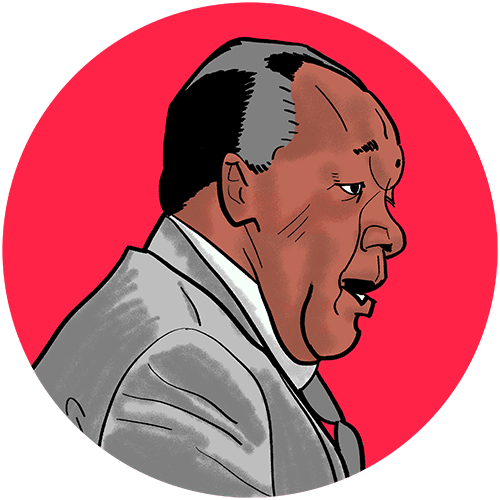 “That other guy [James] can’t help me,’’ he said. Man, Antoine [Walker] was always talking about him, telling me could be better than all of us right then. 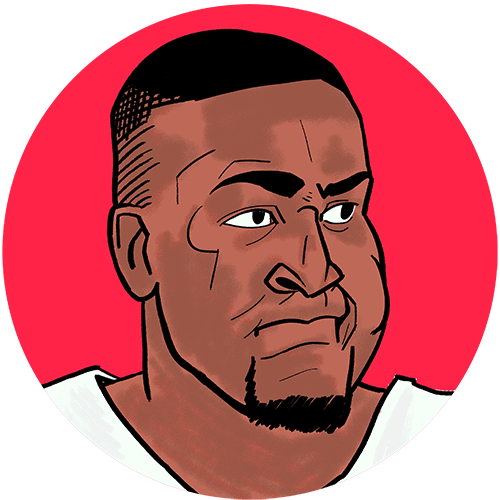 The draft picks Pierce wanted to scope out included guard Marcus Banks, the 13th pick in the 2003 draft, and burly 18-year-old forward Kendrick Perkins, chosen 27th overall. Banks went on to have an eight-year NBA career for five teams. It was Perkins who became a cornerstone, turning into a sturdy power forward on the Celtics’ 2007-08 champions and earning the reputation as a beloved teammate. Perk was such a sincere kid. I don’t remember him crying on the bench, but he did love to play. 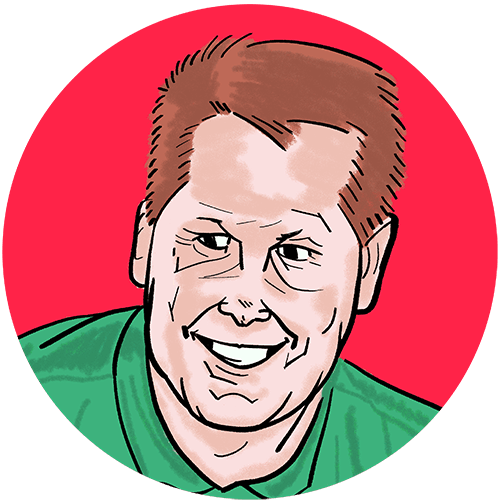 Ainge had been on the job only a few weeks when the 2003 draft took place. He was hired as the Celtics’ executive director of basketball operations in May, the surprising announcement coming hours before Game 3 of the Celtics’ Eastern Conference semifinals series with the Nets tipped off. Beyond draft picks Banks, Perkins and second-rounder Brandon Hunter, the eclectic summer league roster Ainge put together included 2001 first-round pick Kedrick Brown, former UCLA freshman sensation Toby Bailey, and wayward former prep star Lenny Cooke. Cooke was as familiar with what LeBron James could do on a basketball court as anyone. In the summer of 2001, Cooke had been the hotshot high school star at the elite ABCD Camp at Fairleigh Dickinson University. 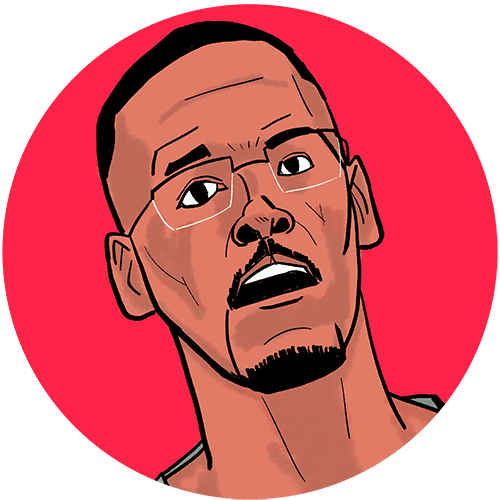 But James, a class behind him, vanquished Cooke’s team with a spectacular buzzer-beater, a moment that was the foundation for his legend, and a moment that devastated Cooke. Cooke declared for the 2002 NBA Draft, but went unselected and never played in the league. 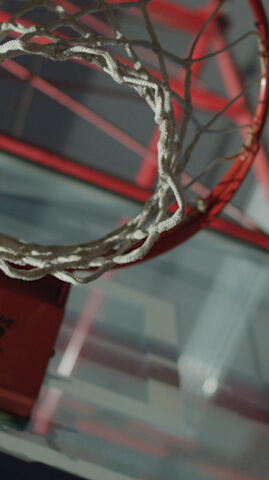 A 2013 documentary titled “Lenny Cooke” detailed his struggles during his high school days and after his basketball dream faded. I don’t remember Lenny standing out. But I don’t remember how far behind he was. The guys who played with him would probably remember better. Lenny didn’t have the basketball IQ, the strength or the body control that was necessary, let alone what LeBron had. But in practice the talent came out. I saw Lenny practice every day. He had great talent, but he just couldn’t get the plays. He was streetball. He was a great creator with the ball. He was either going to put it in the basket or get someone else the opportunity. We played the Cavs in the opener. Lenny didn’t get a minute that game against LeBron, even when the crowd started chanting his name. I didn’t know what was up, what was the extent of going on with him at the time, but I watched the documentary and now I feel kind of bad. I would have liked to have seen him get a minute. When the game was over, James took a moment to console Cooke. Celtics rookie Marcus Banks wasn’t the only opponent overmatched by James in Boston. The Cavaliers had a roster stocked with precocious talent, some that would flourish and some that would never be fulfilled. Previous prep-to-pro sensations DaJuan Wagner and Darius Miles joined James, along with former first-round pick DeSagana Diop and future standouts Carlos Boozer and Jason Kapono. DaJuan scored over 100 points in a high school basketball game. [Deadpan pause.] That’s hard to do. Darius could jump out of the gym. [Carlos] Boozer was just at the beginning of the star he would become. Kapono was an exceptional shooter. It was a fun team to be around. Practices were up-tempo. Alley-oops were flying all over the place. Ward was a compelling addition to the Cavs roster in his own right. In 1994, he won the Naismith Award as the top high school player in the country. 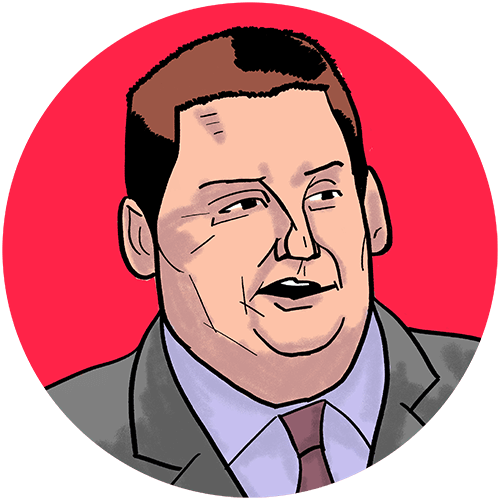 He chose to attend the University of Michigan, where he was in a group of big-name recruits expected to continue the tradition of the Fab Five. But as he put it, “an avalanche” of injuries altered his career. He never played in the NBA, but became a journeyman player valued for his thoughtful perspective. A lot of times I found myself being paired with LeBron. Tried to mentor him any way I could. Me being a former national player of the year, I kind of understood some of the stresses that he was going through. But he didn’t need a lot of guidance. He was mature beyond his years. Thing about LeBron was, every time he’d go to a bigger stage, he’d exceed expectations. That’s why he became so big. Every time he got to a moment where it would be like, ‘He can never handle this,’ not only did he handle it, he blew it out of the water. He was the MVP of the state tournament as a 15-year-old freshman. 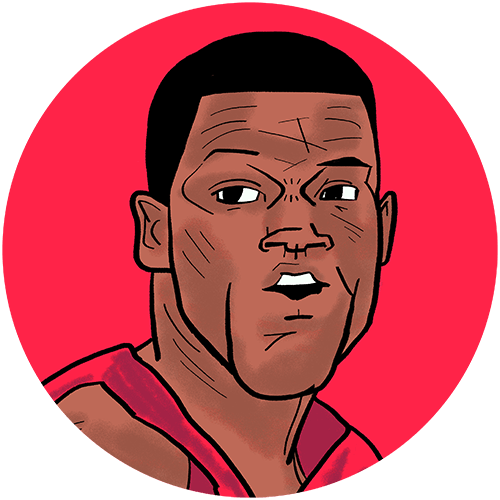 Then to ABCD camp as a 16-year-old when most of the people there were 17-year-olds, including Lenny Cooke. The perception was, Lenny Cooke is the best player, and not only will he beat LeBron, he will destroy him. 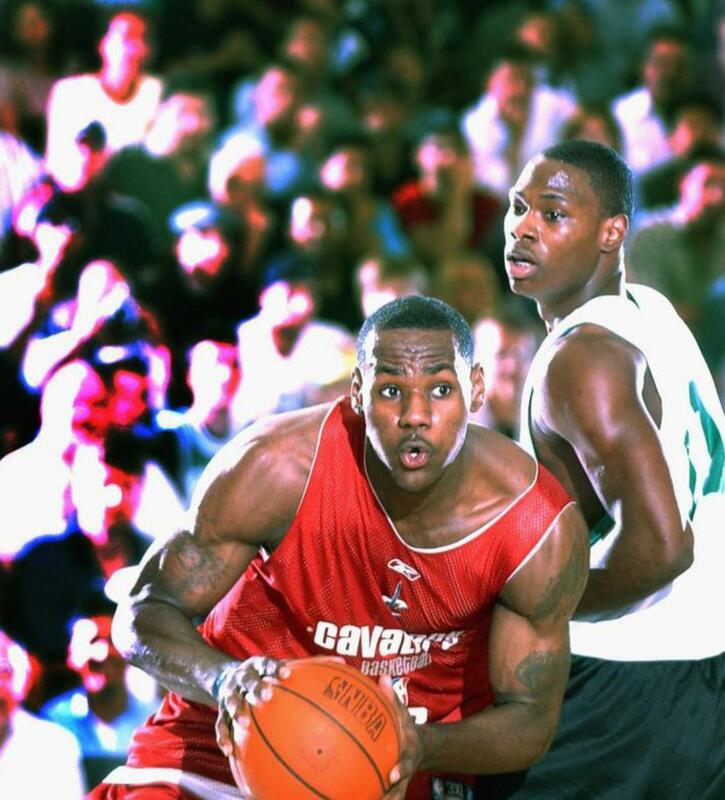 LeBron destroyed Lenny Cooke. And then to the ESPN national TV game, where it was like, ‘OK, now we’ll see this kid fail.’ He put up a bunch of highlights. In front of an over-capacity Clark Athletic Center house of over 2,500, James dazzled in his Boston debut, scoring 25 points, grabbing 9 rebounds, and dishing out 5 assists. He could not deliver a victory, however, as second-year guard J.R. Bremer scored 28 points for the Celtics in their 87-84 win. It must have been a switch or something. [Laughs] I really think it was a switch. Somehow I ended up guarding him. It ended up being a dunk. He caught me leaning, spun on me baseline, and dunked one-handed. You could say I got postered there. I was his first pro poster victim. Bremer did something to leave an impression on the Cavs. By the end of July, he had been traded to Cleveland. After James faced the Celtics in the opener, he missed the Cavaliers’ next two games against the Nets and Mavericks for a reason that stands as a telling measure of how famous he already was: He left Boston to attend the ESPYs in Los Angeles. James was nominated for two awards, including Best Newcomer, an award won by Tom Brady the previous year. James lost to Alfonso Soriano, who hit 39 home runs for the Yankees. I’m guessing he was probably the first summer league guy ever to do that. James was actually joined at the ESPYs by fellow summer leaguer and first-round pick T.J. Ford of the Bucks. In James’s brief absence, the Cavaliers lost to the Nets, 77-69. The Nets were led by former University of Connecticut star Donny Marshall, who had 22 points, and second-year forward Brian Scalabrine, who had 10 points and 7 rebounds. We didn’t have the social media then, but all of those [high school] guys were glorified to the nth degree. And not all of them were going to make it. It’s like when a $100 million movie comes out and it could be a hit or it could be a flop. You never really know until you see it. When I was at UConn, Felipe Lopez was one of those guys, coming into the Big East at St. John’s. Everyone talked about him. He was on the cover of Sports Illustrated. And then you go at him, and you have the mindset of, you haven’t done anything at this level. I sympathized more with the knowledge that if it didn’t work out there were people waiting to tear LeBron down. But you could tell it was going to work out immediately, that he was going to redefine things with his size and ability to handle the ball. [Laughs] There were not going to be many more 6-foot-6 forwards like me unless we learned how to play the point. That was clear. 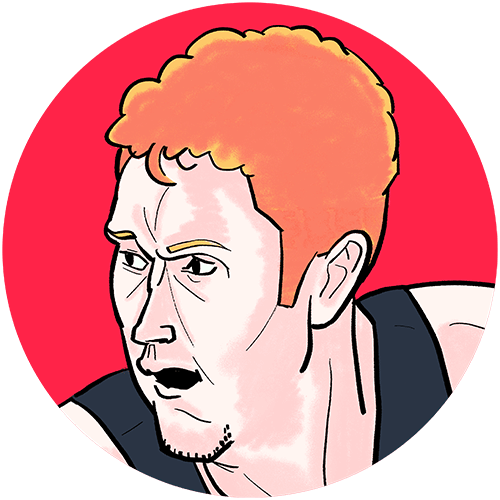 Scalabrine averaged 14 points, 5.5 rebounds and 4 assists per game. I was already 29 years old [actually, he turned 31 while the league was underway] so I just remember feeling like the elder statesman. So I was that guy in the summer league with all the veteran tricks. I remember rather than trying to dunk on a guy, I’d take the contact, get the foul and 1. Or I’d try to take the charge rather than block the shot. The young guys would want to go a million miles an hour, and I’d just remember what [NBA journeyman] Sedale Threatt would say when we’d play in my hometown of Seattle in the summer: Be a straight-line guy. Don’t play around. When you try to look cute, bad things happen. [Laughs I already had the rec league mindset. Still without James in their third game, the Cavaliers, led by Wagner and Darius Miles, got their first win of the league by scoring the final 13 points in an 87-83 victory over the Mavericks. They got their first with James in the lineup the following day, a 77-69 win over the Hawks in which James filled out the box score with 15 points, 9 rebounds and 6 assists. The biggest shots of that victory were made by a guard named Hollis Price, who went undrafted despite leading Oklahoma to the 2002 Final Four and being named a second-team All-America selection in ‘03. I’ve got a story. I got a steal and I went and scored my layup. LeBron was behind me but my guy was chasing me down. Their team called time out after I made the shot. Stephen Silas, who coached us, he ran over to me and was like, ‘Man, throw the ball off the backboard.’ I’m like, what are you talking about, throwing it off the backboard?’ I’m coming from a winning program. I want to win. I’m not worried about highlights and all this stuff. So we’re walking back to the sideline, and LeBron heard the whole thing, and he’s like, ‘Man, [expletive] that. Score the ball.’ Which let me know he was all about winning. He had my back on that one. James and Ford, with any effects of their coast-to-coast-and-back ESPYs adventure behind them, squared off in each team’s fifth game, the most anticipated game of the league after the Celtics-Cavs opener. But there wasn’t much suspense. The Bucks routed the Cavs, 100-80. Fans and media got a close-up view of James in the four games he played in the Boston summer league. James had 14 points, 9 rebounds and 5 assists, while the speedy Ford, chosen eighth overall out of the University of Texas, contributed 10 points, 11 assists, 6 rebounds, and 2 steals as the Bucks used a 16-1 third quarter run to pull away. T.J. put on a show in Boston. He was small, but he was fast as a lightning bolt, and he put on a show before the game, throwing down all these crazy dunks. He won ‘em over pretty early. He was definitely the fan favorite during that summer league. They were chanting “T.J.’s better!” at LeBron. 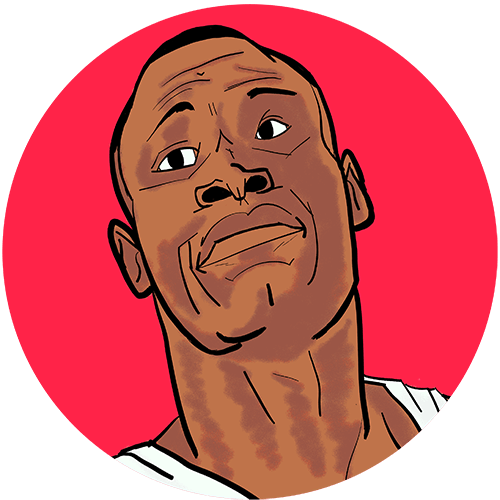 Ford played 429 games for four teams over eight NBA seasons, a spine injury abbreviating a promising career. The Cavaliers did not win the championship. Neither did the Celtics. Both teams went 2-4, the Cavs concluding with an 80-76 loss to Juan Dixon (24 points) and the Wizards. James ended his week-long introduction to Boston with a clang, shooting just 2 of 14 and missing a pair of free throws that would have tied the game with 15.6 seconds left. The Celtics concluded their Boston run with an 82-67 loss to the Nets. Lenny Cooke had 14 points and 13 rebounds in the loss. The Spurs, coached by Mike Budenholzer and apparently as polished and prepared in the summer as they were during their championship-winning regular season, went 6-0, edging Scalabrine’s Nets, who finished 5-1. Everyone has their own agenda in terms of getting recognized in a league like this. It’s hard to get a real team to go out there and play together. I thought we were able to play with some unity. We had cohesion with that group. You always want to be with a winner. People will notice winning for all the right reasons. Spurs standouts included Gill, Udonis Haslem and Devin Brown, all of whom found measures of NBA success. But one Spur missed the summer’s star attraction. I don’t know anything about LeBron James being in that summer league. I really don’t. I don’t remember! I can’t believe I missed it! I’m pissed! Fifteen years later, the league itself is missed by those who were there. No one knew it then, but that would be its last summer in Boston. It was put on hiatus in 2004 because of the complicated logistics of having the Democratic National Convention in the city at the same time. The hiatus never ended. The convention people booked all of the hotels before the summer league people got a chance to book. So it was very difficult to get hotels and get a date that worked. One of the agents saw an opening and decided to do something in Las Vegas. It caught on and I guess the players and coaches really liked going out there. That’s how we lost it. All 30 NBA teams currently participate in the Las Vegas Summer League, with many of the games airing on NBA TV. The league has taken a little more control of the summer leagues since then. I thought it was a really special time for basketball in the city of Boston. It was great. It really was. It had great support of the fans, great location, and I miss it. I was always someone uncelebrated as a player, I guess you could say. So that’s the kind of place I grew up, refining my game. I loved the feel there. I do have an appreciation for what the game has evolved to, the Las Vegas Summer League. Fans and tourists from around the world can appreciate the great NBA game. That [Boston] atmosphere had its season. During its time, it was great. But the NBA is such a global phenomenon now, I don’t think you could ever revert back to that. The summer league’s legacy lives on in LeBron. 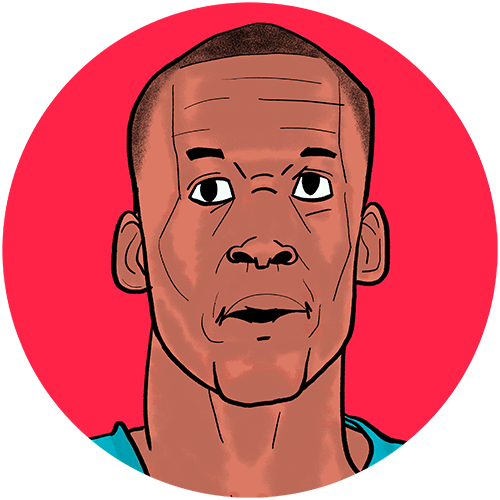 He remains arguably the greatest active player at age 33, a time when his peers are either slowing down (Carmelo Anthony, Dwyane Wade) or long since retired. 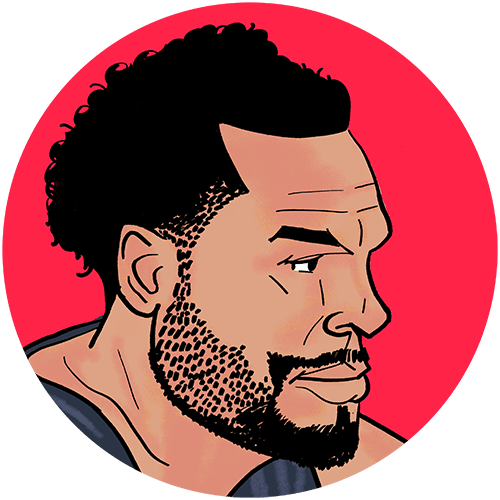 The only other players still active in the 2017-18 season from the ‘03 summer league were Kyle Korver (who played for the Cavs last year), Udonis Haslem (14 games for the Heat last season), and ol’ Perk (one game for the Cavs), who has long since stopped crying on the bench. I've been knowing Bron since we was like 12, so I always knew what type of guy he [was]. Most important thing I've learned since I've been around him in his later years is I'm just more [impressed] by his professionalism and his sacrifice, his dedication that he puts to the game every day that a lot of people don't see. The outside world don't see, but he's constantly punching in the clock to be great. What surprised me? Well, his game was already jaw-dropping, but his dedication and knowledge of the game even then was just as impressive. 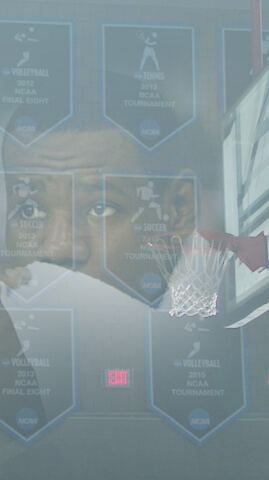 His basketball mind was fully developed. Anything that we threw at him as a coaching staff, he did, or did it better. His ability to take something that you say and apply it --- I mean, this will be my 18th season in the league [he’s Rick Carlisle’s lead assistant with the Mavericks], and he’s probably the best I’ve ever been around at taking what you say in the huddle and applying it. Some guys need to see it on film, some guys need to go through it on the floor, some guys need to walk through it or practice it. LeBron was the kind of guy, you could just tell him and he’d have it. Even then. I had three or four really good conversations with LeBron, about basketball, about life, about the importance of being a role model to younger kids. I was so impressed with his level of maturity. I kept saying to myself, ‘This is a high school kid. This is a high school kid.’ He was so mature, so focused. James averaged averaged 15.8 points, 7.3 rebounds and 4.3 assists in his four games. John Salmons, who averaged 19.6 points per game for the Sixers, was named Most Valuable Player. Salmons played for six teams in a 13-year NBA career, averaging 9.3 points per game. Salmons was joined on the first-team All-Stars by the Celtics’ Kedrick Brown and Brandon Hunter, the Nets’ Donny Marshall, and the Spurs’ Devin Brown. The Celtics’ Marcus Banks, the Wizards’ Juan Dixon, the Bucks’ T.J. Ford, the Cavaliers’ Carlos Boozer, and the Nets’ Brian Scalabrine formed the second team. Two guys that I remember who were going to be very, very good were John Salmons, who was so versatile. And the kid everyone was calling Ashton Kutcher, Kyle Korver. But neither had any savvy yet. Titus reflects on LeBron’s composure in the midst of incredible hype. James was not an All-Star. But he shines bright in the memories of those who played against him. It’s crazy that you asked what I remember, because recently I was looking at the stat sheet somewhere in some old little folder, a little scrapbook. Seeing how he played, seeing that I had 14 points or something like that [he had 10], it was fun to look back. Because does it matter who won or lost? Being in on that experience and not even realizing that it was the beginning of history in the making. We didn’t win as much as I wanted to. I remember that. At the end, he was exhausted. I remember we took the same flight back  back then he flew commercial  from Boston. I remember he got off at the farthest gate in the terminal. He had just one guy with him. And he walked through the airport. He just wanted to get out of there. Some people did recognize him. Nicole Yang of the Boston.com staff contributed reporting for this story.